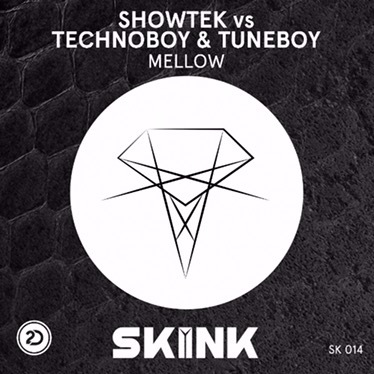 The highly-anticipated collaboration between Showtek and Hardstyle legends Technoboy and Tuneboy has finally seen its release today. ‘Mellow’ is one of Showtek’s first Hardstyle tracks in a long time and marks the duo’s return to their own SKINK label. Prior to its official release, ‘Mellow’ had already been turning a slew of globally acclaimed events inside out. Apart from Showtek, Technoboy, and Tuneboy themselves, leading artists such as Tiësto and W&W, and more dropped ‘Mellow’ on the likes of Tomorrowland, Airbeat One, Parookaville, The Flying Dutch, Defqon 1, Weekend Festival, Untold Festival, and more. Showtek consists of Dutch brothers Wouter and Sjoerd Janssen. Formerly enweaved with the Hardstyle scene as one of its bigger acts, Showtek branched out to club-smashing EDM a few years back and has been making waves ever since. With worldwide hit singles ‘Cannonball’ and ‘Booyah’ and a Top 5 spot in the UK Singles Charts for the latter under their belt, Showtek’s career is unmistakably flourishing. Technoboy and Tuneboy, often abbreviated to TNT, are two Italian Hardstyle DJs and producers who’ve been at the forefront of the Hardstyle scene for ages, both together and solo. The TNT project began in 2002 when Cristiano Giusberti (Technoboy) and Antonia Donà (Tuneboy) decided to work together more extensively. Soon after, the project became one of the most sought-after acts in the Hardstyle scene.